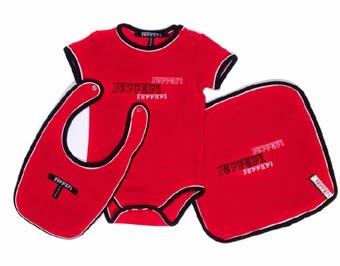 sporty wearing exciting Ferrari t-shirts, jackets, shoes and more. Also exclusive to Cherubs, is the launch of the Hitch Hiker. Hitch Hiker for boys bears a close resemblance in its pursuit of class and playfulness that is inspired by travel adventure. Hitch Hiker comprises of shirts, t-shirts, shorts and sandals for children. Ms. Swati Saraf, CEO, Prive Luxury adds, "We are proud to announce the launch of Ferrari kids and Hitch Hiker for the first time in India. The two premium brands will be available at the Cherubs store. We aim to bring the best in children's clothing and look forward to this line's success." Ferrari Kids, Hitch Hiker and the newest spring summer collection for 2014 is now available at Cherubs, exclusively housed in Ambience Mall, Vasant Kunj, New Delhi.